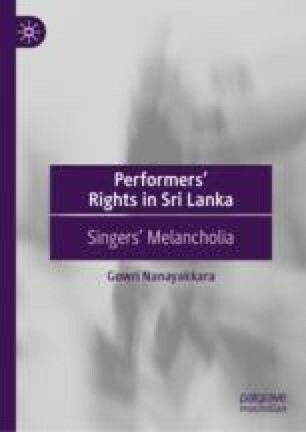 This book underlined the limitations of copyright and the PRR to satisfactorily address the concerns expressed by Sinhala vocalists in Sri Lanka. Thus, this concluding chapter suggests three alternatives—government subsidy, regulating artists’ contracts and alternative dispute resolution—that could be assistive in catering the needs of Sinhala vocalists. Considering the state that the industry is in today, it is questionable whether a system that completely stands outside of copyright and the PRR could be conveniently adopted or accepted by the industry. Accordingly, these alternatives suggested, look promising, since they have the potential to be part of a larger mechanism that more adequately addresses vocalists’ concerns while complementing the current copyright and PRR. An earlier version of this chapter was published as G Nanayakkara, ‘Remuneration , Reward and Royalty in Music Copyright: A Developing Country Perspective’ (2018) I.C.C.L.R. 209.